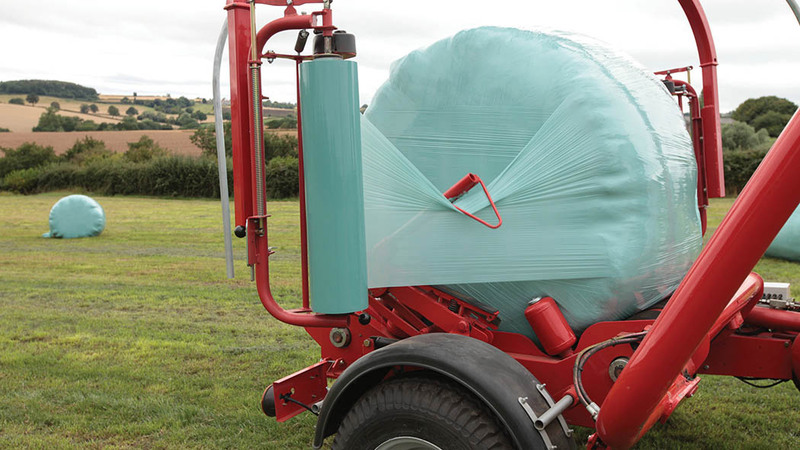 The pressure is on as baling gets underway, but extra attention to set-up, baling and wrapping technique, and care of net and plastic can make all the difference to bale quality. 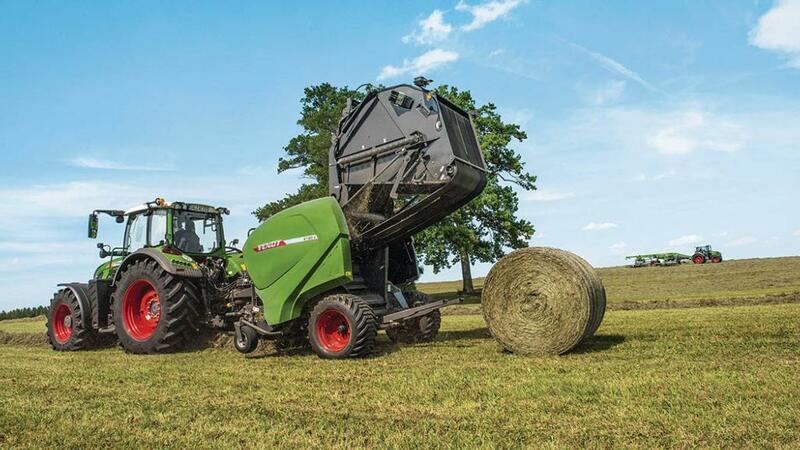 Many factors come into making the perfect round bale, several of which can be tackled before the baler even rolls in the field. Ground conditions, mowing technique, swath shape and baler set-up all play their part in making good bales. The wet spring means many grass fields are rough this year, and the mower should be set accordingly, says Dan Woodward, Fendt forage products specialist. “Operators should be aiming to leave a greater stubble height, ideally about 10cm. 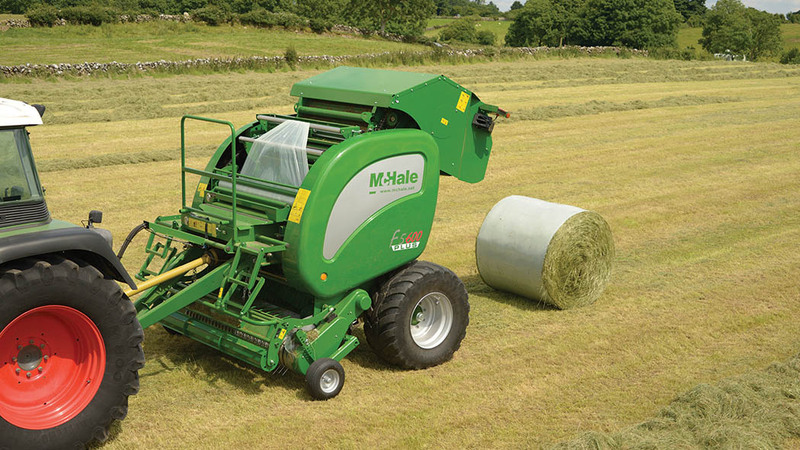 Once mown, swath presentation is key to making well-shaped bales, suggests Mr Woodward. If a consistent box-shaped swath cannot be achieved, baler driving technique can also affect bale shape. Again, aim for consistency, says Mr Woodward. 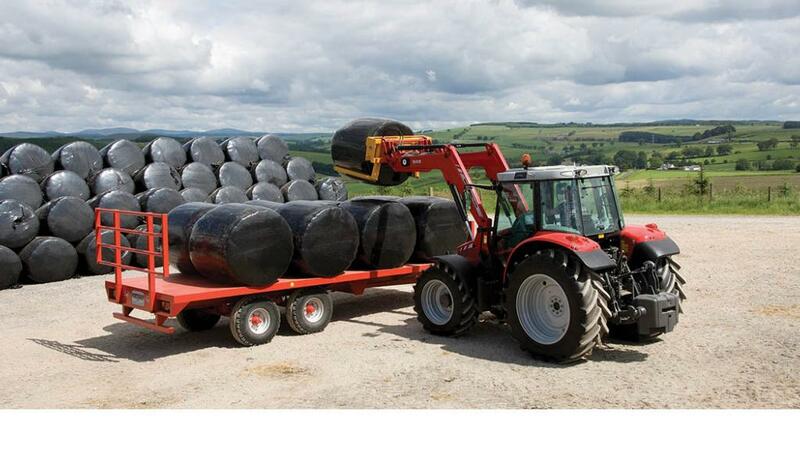 The choice of a fixed or variable chamber baler depends on the owner’s workload and whether the focus is on silage, hay or straw, but Mr Woodward points out variable chamber balers are now better able to make high quality silage bales given a good swath. The choice of whether to chop or not is usually dictated by customer preferences, but Mr Woodward stresses ensuring knives are sharp is key. Bale size is often down to the customer, but he points out larger bales mean less net and film, where the wrapper can handle them. Bale weight is another factor, Mr Woodward says. Whether wrapping with a combi system or separate wrapper it is important to ensure sufficient layers are applied to the bale to prevent air getting in. The ideal number is always up for debate, but Ibers silage specialist Rhun Fychan suggests a minimum of six layers, despite the extra cost and disposal issues. 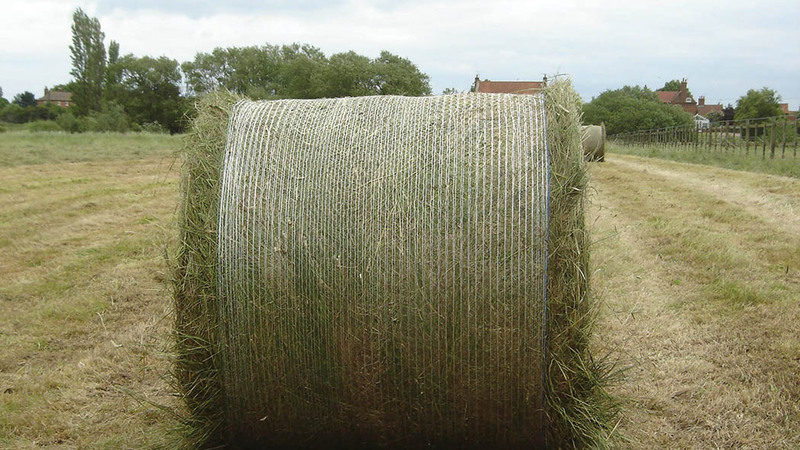 He suggests operators should take care to avoid dropping bales onto hard stubble if only using four layers, as trials showed they were more prone to ‘pinpoint’ damage, which leads to the development of moulds. Using film in the bale chamber to wrap the circumference of the bale instead of net is a facility offered on a growing number of balers, and Mr Fychan says while it is a good idea in principle, as it can offer more protection to the bale, the plastic does not cover the shoulders of the bale. Using more film means more to dispose of and Mr Fychan says plastic should be collected and taken to an undercover storage area as soon as it is removed. “We have seen water gets between the layers, so once it is wet, it is hard to dry, with the water adding to the weight and thus to disposal costs. On the wrapper, check the knives from time to time to ensure they are still sharp. Blunt knives can snag wrap, wasting plastic, causing downtime and preventing the plastic from sealing properly. Mr Robson says: “The film must be released by the catch and cut mechanism at the start of the new wrapping cycle. If the knife is not sharp enough, broken or misaligned and the film does not release, it will allow air into the end of the bale, between the film layers, resulting in poor quality silage. 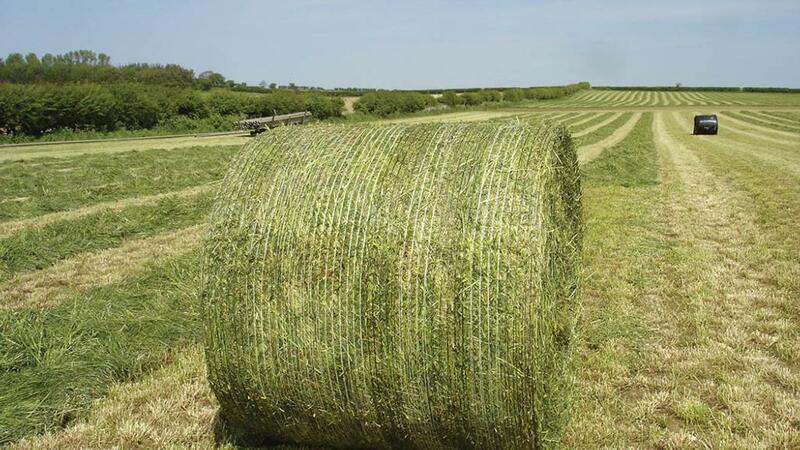 Aim to collect bales and stack promptly, as birds landing on the bales in the field will puncture the film and make larger holes as they pull the grass through, causing moulds from the air which can now enter the bale. “It is a waste of time, effort and expense,” says Mr Robson. It is easy to neglect machinery in a busy season, but poor baler condition can affect the way it feeds netwrap, leading to annoying downtime. Netwrap snagging, sticking and failing to cover the bale properly is frustrating but can be avoided, suggests Graham Robson, technical manager of Tama UAT. It is important to check the performance of the net rollers too, he says. Completed bales can be damaged if they are held in the chamber when they should be ejected, as the continued rotation of the bales damages the net. “Rust from a baler which has been stored or even paint on a new baler can slow the bale’s rotation,” says Mr Robson. Stones or broken tines which get picked up by the baler will damage the surface of the rollers, causing net to snag and tear or pulling it off the bale surface, where it can wrap round the rollers. The condition of the netwrap is also significant. Check your netwrap rolls if you have been caught in a downpour or rainwater has got into the storage shed. “If the netwrap system works against the core of the roll, it is important the core remains dry,” says Mr Robson. Ensure the net actually wraps around the bale. If the bale continues to form once the netwrap begins to feed, it will get embedded inside the crop. 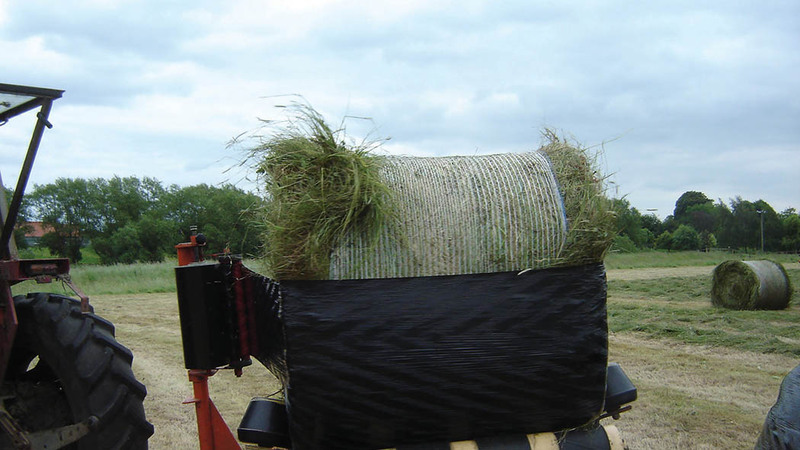 “The netwrap should always be on the outside of the bale, otherwise it cannot fully hold the crop,” says Mr Robson. The bale will swell and probably burst, either due to the outer layer being damaged, or from the lack of layers on the outside not being sufficient to contain it. When you start baling, check the netwrap coverage. It is generally designed so the threads cover the curved surface of the bale only. If it overlaps the sides, this reduces the holding force of the threads. “If a net has 50 threads and three are over each side (i.e. six ‘lost’ in total from 50), this means the net has lost 12 per cent of its ‘holding force’,” he says. However, the net must also cover the shoulders, or air can be trapped when the bale is wrapped, leading to mould growth spoilage.